Following 18 years in roles across hospitality, wine education and retail, Daniel Lam joined Bonhams Hong Kong as a Wine Specialist. He has since held regular wine auctions and pioneered Hong Kong's first whisky and Cognac auctions. He reveals the bottle that sparked his love for wine and which wines and whiskies to watch at auction. Having started your career in hospitality, what led you to specialise in wine and decide to complete WSET qualifications? Having graduated in hotel management at the Cesar Ritz Hotel Management School in Switzerland, I naturally felt drawn to the food and beverage sector of the hospitality industry and started within the restaurant at an entry level, where I came across wine. What really sparked me to be informed about wine was when I walked into a wine shop and bought a bottle of Bonnes Mares, Vogue-1990 and from then on I just fell in love with wine. This then lead me to complete WSET courses and to pursue my career in wine. Why did you decide to educate others through WSET education and how did it enable you to progress to your future roles? 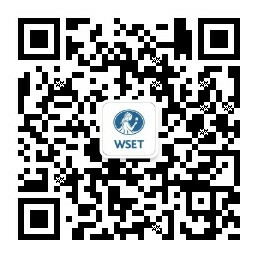 I was among the very first people to deliver WSET courses through the Wine Institute of Asia in 1996. The courses were less complex back then in comparison to today, which are now far more diverse and with more varied categories, whilst still focusing on growing vines and making wine. WSET education was very helpful and allowed me to educate people on drinking wine and further enhance their appreciation of good wine by sharing knowledge. Working in the education sector allowed me to meet many wine industry personalities, which eventually lead me to the wholesale and retail sectors. I held positions working for the company representing Domaine Baron de Rothschild, and then supermarkets where I learned more about best-selling Australian wines. With previous roles across hospitality, education, wholesale and retail, what led you to move into auctioning wine and spirits at Bonhams Hong Kong? I guess there was an element of chance. I responded to an advert in the local Hong Kong newspaper, South China Morning Post, for a wine manager for Bonhams in 2008. I applied and here I still am! At the time, the market was hit by the financial crash but this made me even more determined to secure consignments in order to maintain my position. I ended up leading the first whisky auction in Hong Kong. The [WSET] courses were less complex back then in comparison to today, which are now far more diverse and with more varied categories, whilst still focusing on growing vines and making wine. As a pioneer for Hong Kong’s first whisky and cognac auctions have you noticed demand for these beverages growing in the region? There is a definite increase in demand for whisky and Cognac in the region. At Bonhams first Whisky auction held in 2009, we sold 60 bottles which made HK$1,000,000 in sales and in Bonhams forthcoming auction, we will have some 440 lots within the whisky category alone, which will make around HK$22,000,000 in sales. The global demand for whisky is unstoppable in the UK, USA, and now across Asia with particular growth in China, Thailand, and Indonesia. Which wines are you seeing particular interest in through auctions at the moment? Are there any new wines becoming increasingly popular in the region? The favourites still remain strong such as Romanée-Conti (DRC) and Lafite. White wines from Burgundy are increasingly appreciating value, driven by a rise in popularity among mainland Chinese. At first Lafite was the most popular but now there has been a move to appreciating burgundy with DRC wine produced in limited quantity and driving up the price in the past 5 to 10 years. Details of Bonhams Hong Kong’s upcoming auctions can be found here.